A garden is always the better for containing something you can eat. Trust me, that time you go to wrestle dinner out of a sprouting onion and three year old can of chickpeas you’ll be grateful that your neglected rosemary is such a trooper. Productive gardens are very popular here: we previously waxed lyrical about the community roof garden at The Commons, in Melbourne, Perth City Farm, Edible Yamba, Paddock Café, and even the Chelsea Physic Garden. This little garden is set up behind the restaurant in Colombia's Medellin Botanic Gardens. The Perth Urban Orchard is invisible from the street. Step up to the forecourt of the Cultural Centre though, and it stretches out atop the carpark. Rows of raised beds support olive and citrus trees, plus a mix of perennials, vegetables and herbs. Government House in Brisbane has a vast bushland garden, but also a kitchen garden keeping HRH’s representative in fresh veg. The last time I was there Penelope Wensley was still in residence, so I don’t know if the garden has changed to suit the tastes of new resident Paul De Jersey. I know I like my servants to change things up every now and then, don’t you? 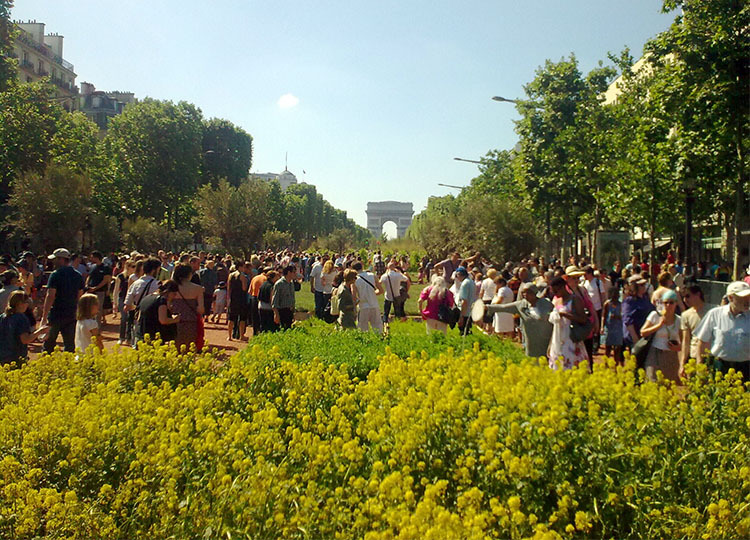 Now let’s pop over to Paris, where in 2010 the Champs Elysees was closed to traffic for two days of agricultural and horticultural installations. 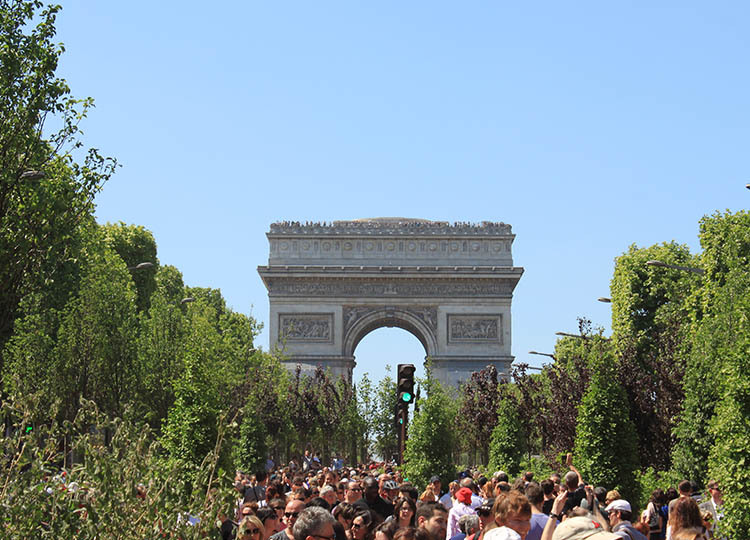 Instead of ten lanes of asphalt, the two million visitors saw sights like these. Image: Patrick Janicek via Wikimedia Commons under Creative Commons license. Image: Gael Chardon via Wikimedia Commons under Creative Commons license. Image: Citron via Wikimedia Commons under GNU Free Documentation License. Image: Ilan Costica via Wikimedia Commons under Creative Commons license. Nature Capitale was orchestrated by artist Gad Weil, who worked in conjunction with French farmers’ associations to highlight the plight of the country’s farmers and rural workers. Finally, don’t forget the Epicurious Garden at South Bank. Produce from this seasonal productive garden is available – first in, best dressed, for free – on Tuesday, Wednesday and Thursday. Makes you feel good, doesn’t it.